Soledad Piñero Misa is the CEO and founder of Retoy, Social Mission Manager at Ben & Jerry’s Nordics and a frequently hired speaker, facilitator, and lecturer. Her employers and partners describe her as inspiring, present, professional, creative, warm, responsive, entertaining and invaluable. She has numerous references from employers like UNHCR, Sida, Swedish Institute, Swedbank, Swedish Government Offices (Regeringskansliet), UNICEF, Skandia, RFSL, Fairtrade, Volvo, Swedish Teacher’s Union (Lärarförbundet), Södertörn College, Equality Ombudsman (DO), Royal Institute of Art (KKH), Anna Lindh’s Memorial Fund – to name a few. Soledad has a background as officer at the governmental Youth Democracy Commission, secretary-general at LSU (National Council of Swedish Youth Organizations), chairwoman of the Red Cross Refugee Center, a consultant at Enact Sustainable Strategies, and director of Youth Against Racism. 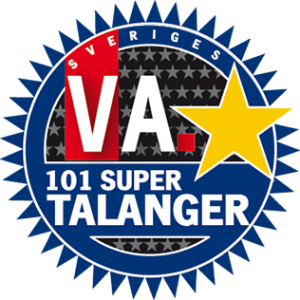 She was appointed by the government to the board member of the Skansen Foundation, placed number 9 on Veckans Affärers (Business Weekly’s) list of the 101 Swedish super-talents and number 8 on Shortcut’s list of Swedish up-and-comers. She is a proud winner of both the Kurage and Göran awards. 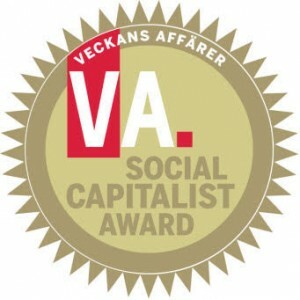 In the fall of 2013 she was awarded as Veckans Affärers Social Capitalist of the Year with the social enterprise Retoy. She was responsive and led the group in a fantastic way. " would not have been nearly as good as they now became ... "